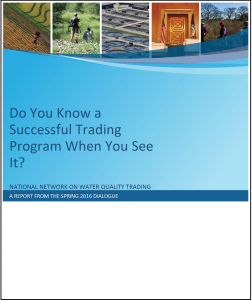 When asked about the issues most important to the future of water quality trading, participants in the National Network quickly identified challenges related to how water quality trading programs track progress and measure success. 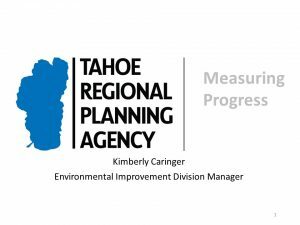 The focus of the Spring 2016 Dialogue was on the different elements and considerations of program evaluation and performance measurement in the context of water quality trading. 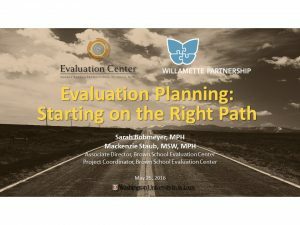 The goal was to identify the resources and tools that can help program administrators determine how evaluation and performance metrics can fit their program and ultimately answer questions about success. 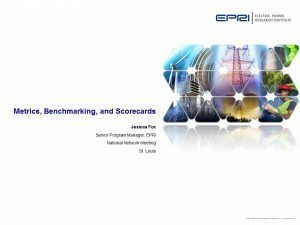 The summary report provides an overview of the presentations and discussions held at the workshop. It also includes reference materials such as the agenda and a list of participants.